This pendant is one that will leave its mark. 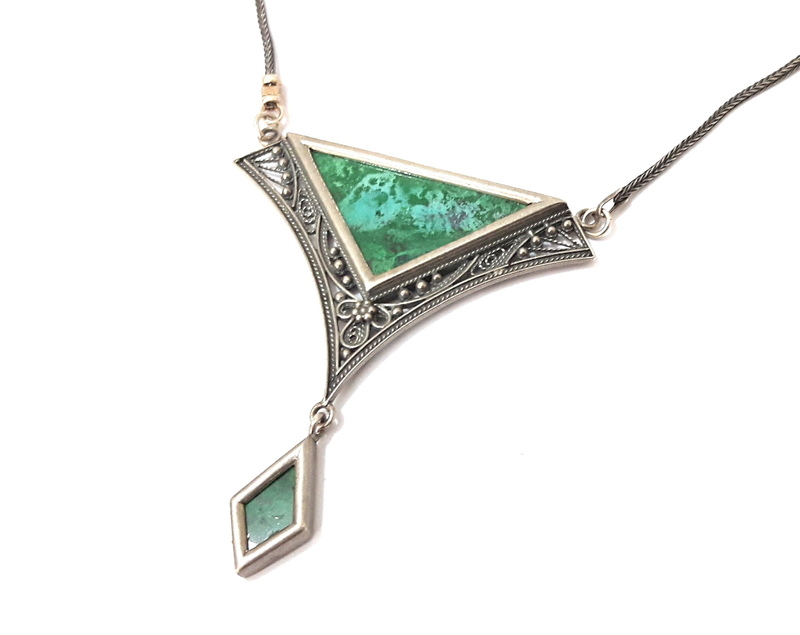 A beautiful triangle and teardrop shaped Eilat stone adorn this magnificent Yemenite filigree designed hand made sterling silver pendant. This pendant necklace is not your ordinary run of the mill Israel jewelry. 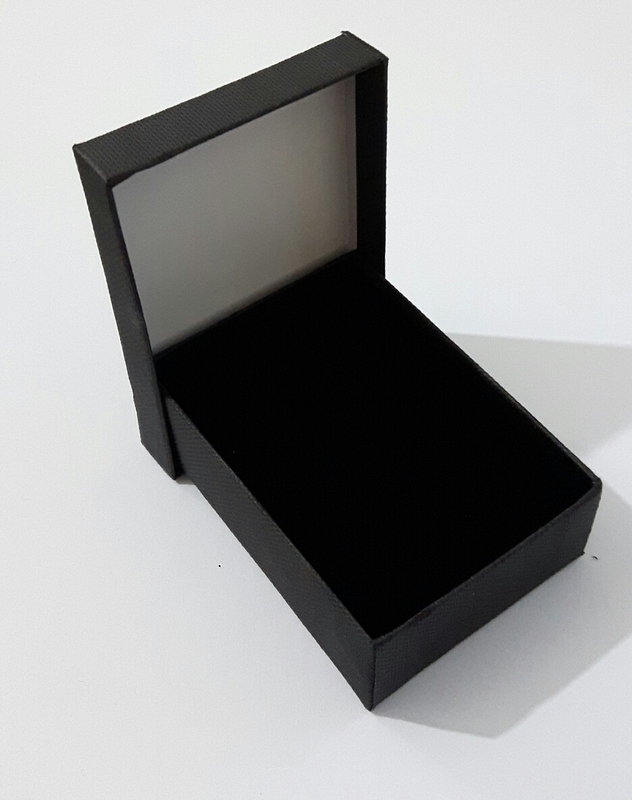 This is a piece of Israeli jewelry that will leave an impression on all those who see it. 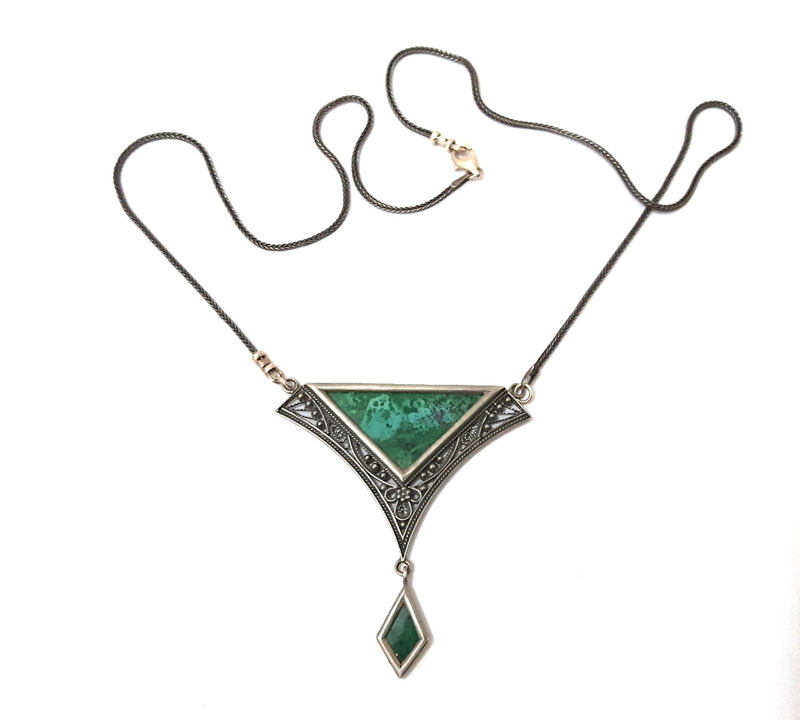 The fantastic blue and green colors of the Eilat stones are vivid in this pendant in the shapes of a triangle and a tear drop. Surrounding the stones, is an exquisite Yemenite designed filigree, giving this pendant an extra special ‘something’ as they say. This stone is Israels national stone and is found in the mines in the southern part of the country by the famous tourist city of Eilat which is situated by the Red Sea. Legend has it that King Solomon actually used to have his copper mines in the same region and some call the Eilat stone the King Solomon Stone.